Over the past few days, I have had the privilege to work with some really amazing materials with my teens. 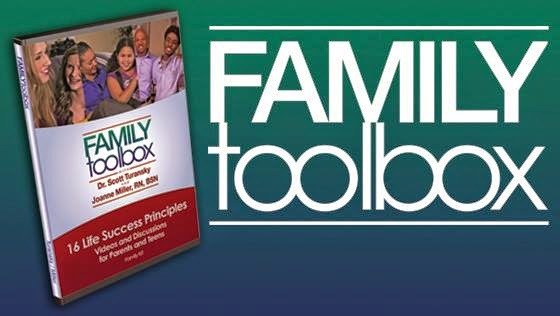 The Family Toolbox, put out by the National Center for Biblical Parenting, is a fabulous resource for kids ages 10-18 -- and their parents. I was intrigued by this program, but a little concerned too. So many times, this type of material seems to be filled with all kinds of feel-good mumbo jumbo, but not much that is remotely practical. I read a little blurb about what we were about to watch, which introduces the characters and usually gave something for the kids to watch for. We chat about what we just saw, with the help of discussion questions that go through identifying the biggest problems, making suggestions about how things could be changed, and checking what the Bible has to say. This discussion also includes two different "Life Success Principle" statements that I make the kids repeat to me, and then I make a point of using throughout the next days. We talk about how this applies to us and our interactions. There are a total of eight lessons, which means sixteen Life Success Principles. The program includes additional work for the parents. Each lesson has an introductory page that talks about the big issues being presented and gives a bit of an overview as to things for us to notice. The DVD also includes a ten-minute talk for parents about the issues in each lesson, which is nice, and there is a worksheet for parents to go through as well. This graphic really is the main point of the course, I think. 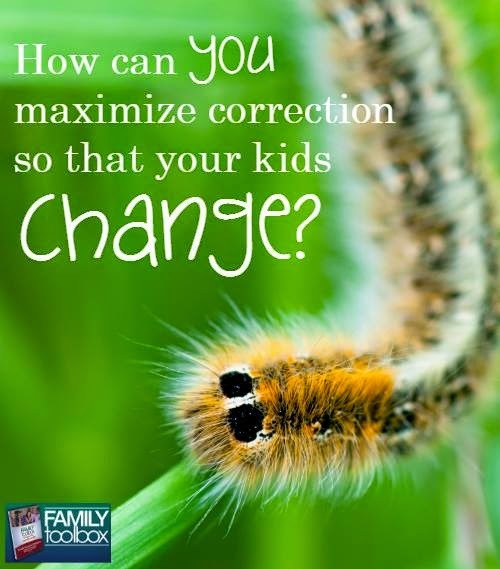 As a parent, what should I be doing to actually enable my kids to successfully change. One lesson involves anger and yelling... you know, the kid only moves when mom starts to yell. Yeah. That was painful to watch. Been there, done that. Not today, fortunately. But most weeks. Even though this states that it is for ages 10-18, and I have four boys ages 10-17, I chose only to use this with the teens at this point. My thought was that I'm more comfortable getting into some of the "what Mom did wrong" aspects of these videos with my teens, and the three of them are pretty close together in age (3.5 years from oldest teen to youngest teen) and the ten year old is just significantly younger. I think there is a decent chance, however, that we will go back through the whole thing with everyone (including the 8 year old). We (meaning not just me, but also the teens) are already finding ourselves correcting the little two using phrases from Family Toolbox. Like "Be respectful even when it is hard." I really think this is something that would benefit nearly every family. Check out the Facebook party, happening in just a couple hours. The graphic is confusing as far as time, but it will be at 8 pm Eastern. Click it to join! 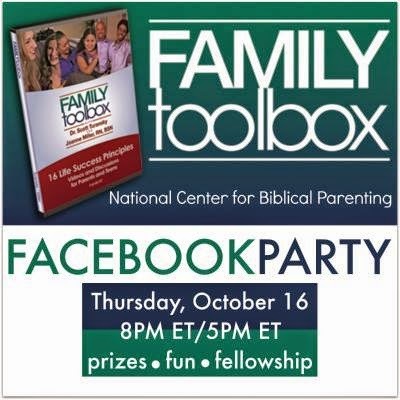 Nice to "meet" you at the FamilyToolbox Facebook Party!